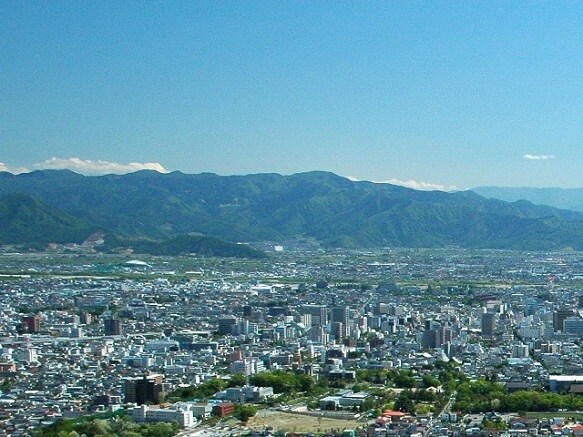 The city of Nagano is located in the northern part of Nagano Prefecture. 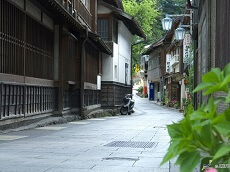 It developed as a temple town for Zenko-ji Temple that is said to have been built at the beginning of the 7th century. Zenko-ji Temple is said to be one of Japan's most important and popular temples. Since it was founded, the temple stores the first Buddhist statue ever to be brought into Japan when Buddhism was first introduced in the 6th century. The original statue is hidden while a copy of it is shown to the public every six years for a few weeks. The next opportunity will be in 2015. 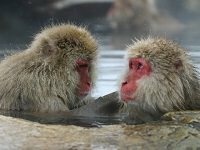 The significance of Zenkoji to the development of Nagano was instrumental: many major Japanese cities have evolved either from castle towns, harbor towns or temple towns. In the case of Nagano, it grew from a temple town which developed around its temple of great importance, Zenkoji. Chuo-dori Street, which streaches from the Zenko-ji guchi Square of Nagano Station, is one of the city’s main streets. The Omote-Sando area, along the front approach to Zenko-ji Temple, is now home to the largest shopping mall in the city. The area was renovated at the time of the Nagano Olympics in 1998, the third time the Olympics were held in Japan. It is lined with buildings in both Japanese and western architectural styles, all arranged in a modern manner. Inside the ice skating rink M-Wave, one of the venues for the Winter Olympics, is the Nagano Olympics Memorial Corner exhibiting some of the spots equipment that was actually used in the games along with licensed products.